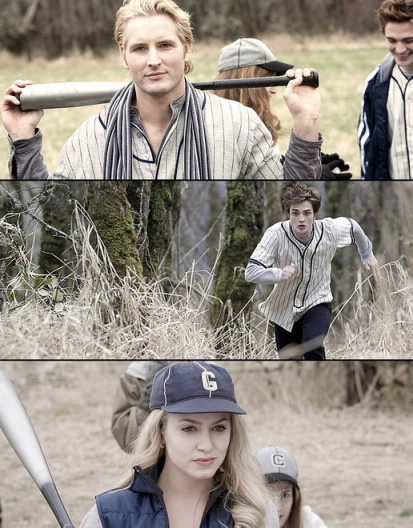 Cullens. . Wallpaper and background images in the The Cullens club tagged: the cullens twilight. This The Cullens photo contains विकेट and गेंदबाज. There might also be अंपायर, ump, ballplayer, बेसबॉल खिलाड़ी, बॉलप्लेयर, बेसबॉल के बल्ले, लकड़ी, and बेसबॉल बैट.